I love the coffee taste of Kahlua in cocktail recipes. I’m not a coffee drinker but the smoothness of Kahlua is a great taste sensation. 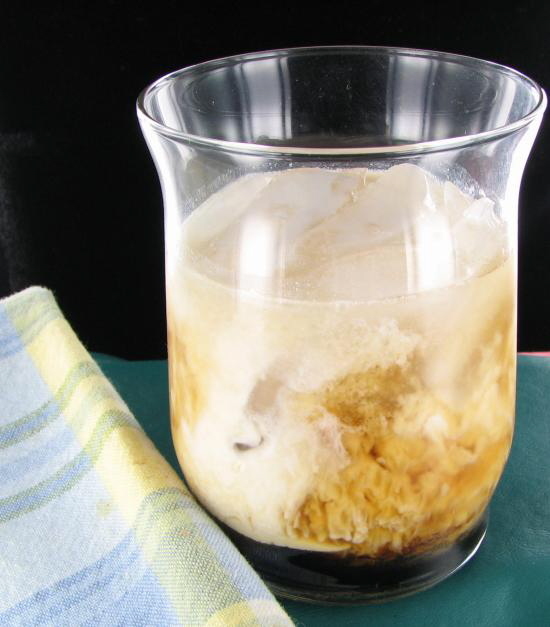 This White Russian Kahlua cocktail combines that taste with vodka and cream for a great tasting drink. Kahlua Vodka and Cream makes a great White Russian Cocktail. This drink, as well as the Dark Russian started appearing about the middle of the last century. This drink uses the same ingredients as the dark Russian but has the addition of cream to give it the lighter color. For more drinks and cocktails, please visit The Cocktail hour board on Pinterest. For chocolate lovers, be sure to have a look at the Dark Russian Kahlua cocktail too. This White Russian Kahlua cocktail combines that taste with vodka and cream for a great tasting drink. Put ice cubes in a high ball glass. You can vary the strength of the drink by the amount of cream you add. A larger glass with more cream makes a weaker drink but gives it more calories.